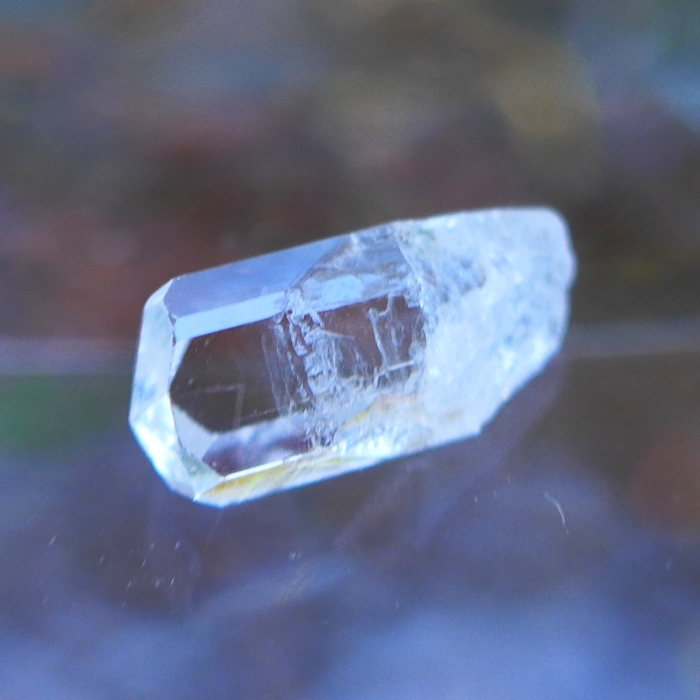 Dimensions (HxWxD): .6875" x .3125" x .3125"
This gorgeous .6875 inch long, 4.85 carat AAA Sparkling Clear Phenacite with Beautiful Termination has extraordinary clarity and brilliance with a lovely golden hue. 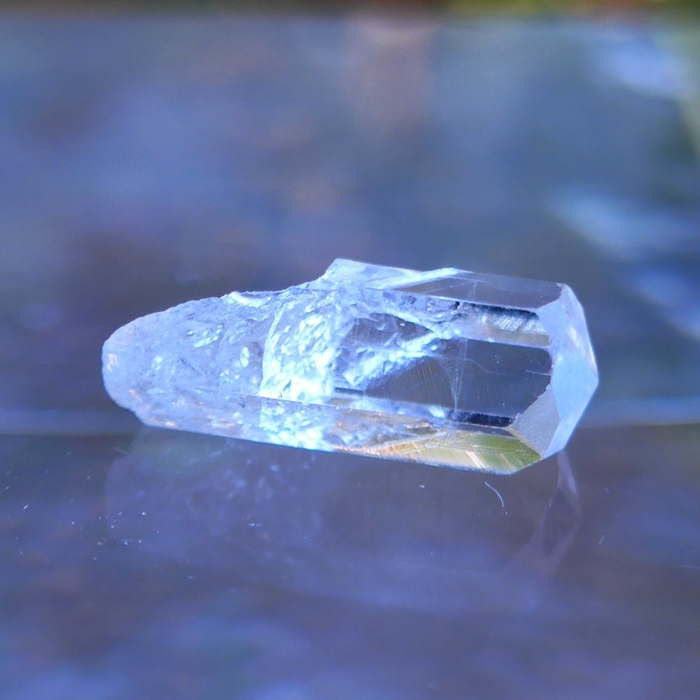 It has a beautifully faceted hexagonal shaft and a magnificent termination tip. 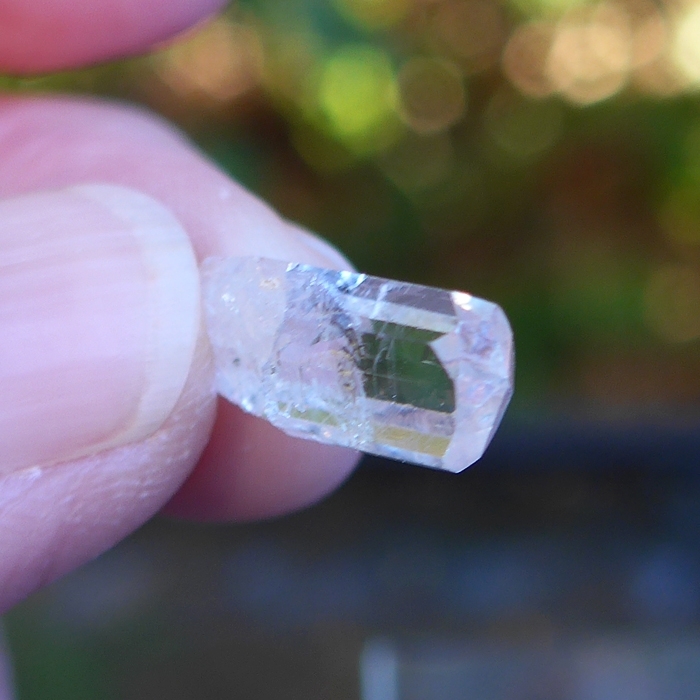 This is a lovely natural, untreated, uncut gemstone quality specimen of an extremely rare variety of phenacite. Note: Weight above is shipping weight. Actual weight is 4.85 carats or .970 grams.